Paul Cook, left, talks to Doris Tangeman, both of Sidney, about his woodworking exhibit. 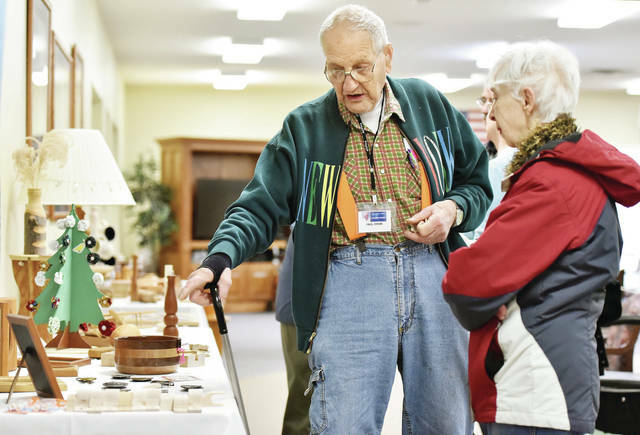 Cook’s woodworking was one of many exhibits at a hobby show at the Ohio Living Dorothy Love Amos Center. Stained glass, toy trains and paintings were some of the other hobbies on display. Cook uses the wood shop at Dorothy Love to do his woodworking.